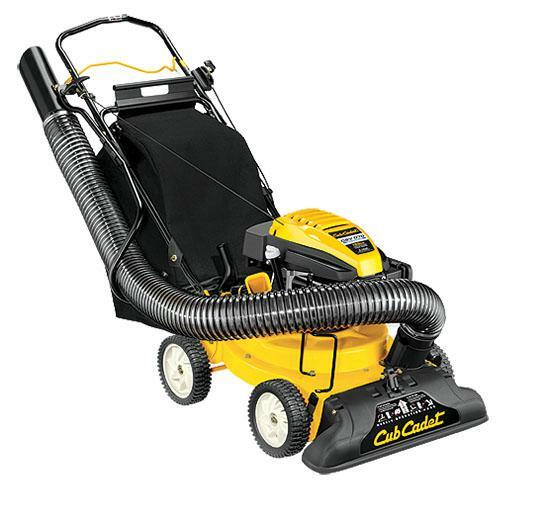 The all-in-one chipper shredder vacuum is the smartest tool for outdoor cleanup. It not only vacuums lawn debris, but also chips branches and shreds leaves. Its two-bushel, wide-mouth, dust-blocking collection bag is easy to empty, so you can clear more debris with less downtime. Plus, it's powered by an efficient 159 cc Cub Cadet OHV engine and comes with a three-year limited warranty. Dustless, 2-bushel, felt-lined collection bag.